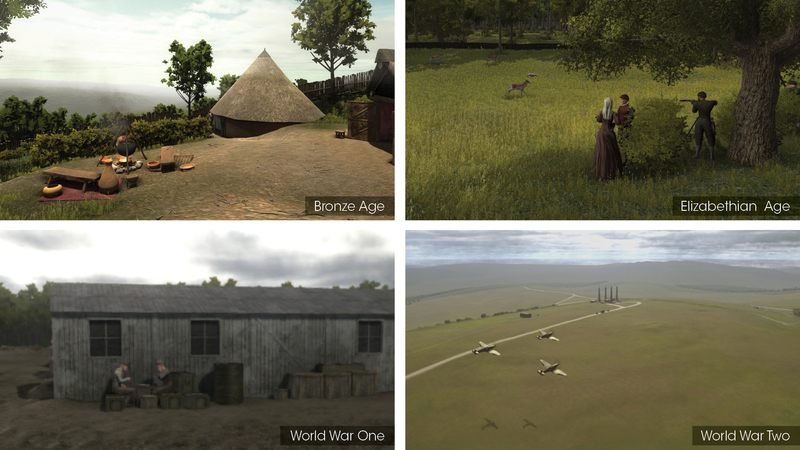 Create an exhibition to tell the 'Secrets of the High Woods' using innovative digital media and state of the art CGI reconstruction to engage and immerse the public in the archaeological discoveries unearthed by the project. We designed a series of free-standing exhibition panels that could be configured differently depending on the venue they were being taken to, together with a central ‘ARchaeology table’ that allowed visitors to virtually peel back the historical layers of the landscape with augmented reality (AR). We created an AR app to allow visitors to compare the landscape that they know today with that of the past by triggering AR animations of a WWI airship station, a WWII Canadian training camp and a Bronze Age funerary barrow. Using LiDAR modelling technology and gaming software we recreated ancient landscapes for three 360 interactive experiences that allowed visitors to virtually walk through time, exploring day to day activity in an iron-age settlement, a medieval deer park during a hunt and a WWI Canadian lumber camp. 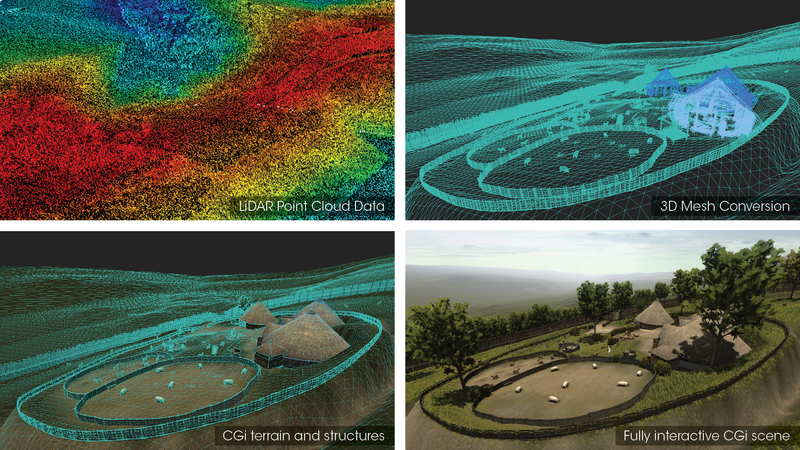 We created animations explaining how LiDAR technology was used to uncover archaeological features hidden within the wooded Downland of the National Park and how the Trundle, a well-known local landmark has changed over time from the Neolithic period through to the present day. The project captured oral histories from the people who have lived and worked in the South Downs National Park over the last 80 years and we incorporated these into a listening ‘tree’ with touchscreen players that incorporated black and white photographic images from a local photographer who had followed the project from its inception. 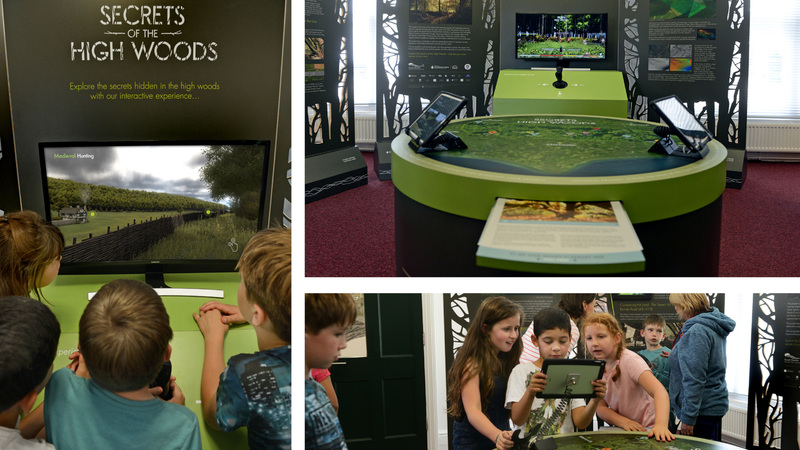 The exhibition has been a huge success, conveying a sense of woodland exploration and discovery, and engaging a new generation with their heritage and archaeology.